Please note the Food Bank will closed for the holiday on Good Friday, April 19th. We will be open as usual on Thursday, April 18th from 6:00 to 8:00 pm. Please call the Food Bank if you have any questions. 705-646-3997. The “100 Women Who Care” movement was a simple idea created and nurtured by a woman named Karen Dunigan in 2006. Its initial purpose was to supply cribs to women bringing home newborns with no cribs for them to sleep. She invited 100 women and they each donated $100.00 or more to help struggling families provide a safe place for their children to sleep. The meeting resulted in a $12,800.00 fund to help these families. 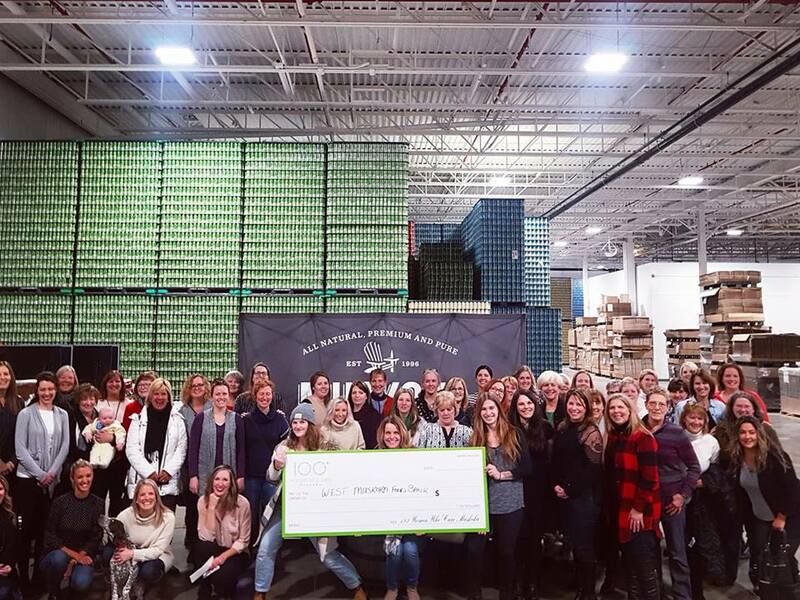 Karen created and helped to develop ‘100 Women Who Care’ and this program now boasts 600 fully operational chapters and another 250, or more, currently under development and they now include people’s, men’s, kid’s and teen’s chapters. 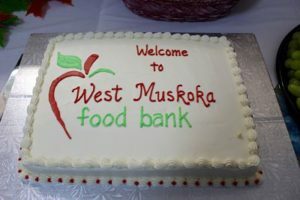 Muskoka is blessed to have its own women’s chapter and, last week, the West Muskoka Food Bank was the recipient of the group’s quarterly vote to receive their donation. We cannot begin to tell you how much this generous donation means to the Food Bank. Recently, we have created a new initiative to compliment the service we already offer to our community members and this donation will help us to go beyond supplying food to our clients. We will share more about this initiative when we have fully developed its guidelines but we are excited to create another way to help our fellow community members in their time of need. We are all neighbors helping neighbors. Thank you again to the Muskoka Chapter of ‘100 Women Who Care’. Your support means the world to us and we are truly grateful for your donation! Christmas is a wonderful time of year but it can also be a very difficult time of year for many families. With the help of volunteers, community groups and individual donations, we helped over eighty families and gave them a full Christmas dinner, toys to put under their tree and the feeling that the Christmas spirit is alive and well in our community. 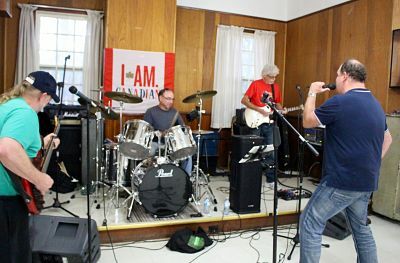 There are a few late additions we omitted and would like to include – Canadian Tire Gravenhurst, Seniors Dinner-Bala, Youth Friends Association of Canada, the Food and Financial Drive, Township of Muskoka Lakes, Bala Firefighters Association and all the residents of Port Carling who supported the Fire Departments Christmas Eve Food Drive on the fire truck. We thank you all for your continued support and wish you all a very Merry Christmas and a happy and healthy 2019. We are busy pulling together the last pieces needed to make our Christmas Food Drive a success for another year. The Food Bank will be closed on the evening of Thursday, December 13th to allow us to set up for the drive on Friday. The doors to the Food Bank will be open on Friday, December 14th from 10:00 am to 4:00 pm so families can come to pick up the items for their Christmas dinners, shop for other needed items as well as pick out a few toys for the kids. 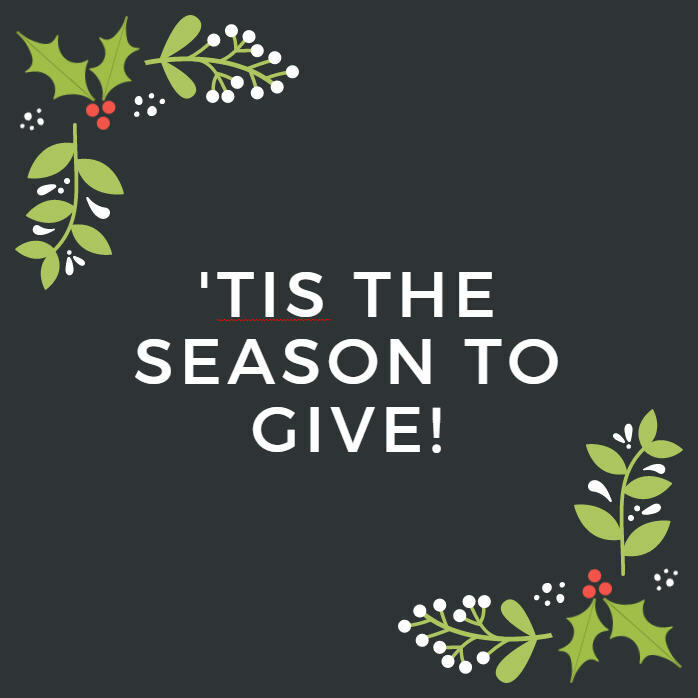 We are continually asking for donations, not just for the Christmas drive but for the year round success of the food bank and our ability to provide a warm and welcoming place for our community members. With thirteen percent of Muskoka residents living below the poverty level, the need is always there. If you would like any more information about the Christmas Food Drive or the Food Bank in general, feel free to call our Operations Manager, Kristen Thompson, at 705-646-3997. There are only two weeks left until our annual Christmas Drive on December 14th. We will have more details next week but we are busy making preparations for another busy day of working with many local groups to provide everything our clients could need at Christmas, from turkey or ham dinners to toys. We are also just steps away from having our new donation platform available on our website so people who wish to donate can make a one-time donation or a recurring monthly donation to the Food Bank. With the early onset of winter and the coldest November on record in Muskoka, we are reminded that Christmas day is only thirty-three days from today. 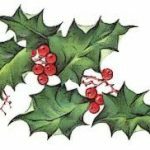 The Board and the Volunteers at the West Muskoka Food Bank are busy making plans for our annual Christmas Drive which will take place on Friday, December 14th. We depend on the support of countless people dedicated to helping our Christmas Drive be a great success. 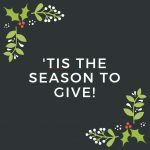 The generous donations we receive and the many individuals who spend countless hours organizing, shopping and setting up on the day of the drive make sure our fellow community members will have enough to create a Christmas for their families. We have food depots at the Foodland in Port Carling, the Freshmart in Bala and the Bala Post Office. Port Carling Dental is also currently hosting a Food Drive for the benefit of the West Muskoka Food Bank. Monetary donations can be made through the PayPal account on our website or by sending cheques to West Muskoka Food Bank, 1054 Brown Road, Port Carling, ON P0B 1J0. We appreciate your support and hope we can make this a Merry Christmas for all. This Friday night, November 16th, the South Muskoka Shield Jr. “A” Hockey Club will be hosting a Food Drive during their game at the Port Carling arena. The game will begin at 7:45 pm. All non-perishable items donated will go to the West Muskoka Food Bank. Come on out and cheer on the team while donating to a great cause. Community helping community is what it is all about. If you are unsure of what to donate, please have a look at the “Donate Food” portion of our website. With Christmas just around the corner, every little bit helps. We have some exciting news! We are making great strides to finish moving our operation to the upper level of what was originally the Glen Orchard Community Centre. With the financial assistance of our wonderful benefactors, we have purchased new shelving, new and more efficient freezers and we are setting up an office to better serve our community. Also, with the help of the MLA and their food drive to benefit the West Muskoka Food Bank and the constant support from our fellow community members, that new shelving with be overflowing with donated items. But those donations don’t last long and we are continually in need of your support. The need increases each year and we are forever grateful for your assistance in helping our fellow residents. 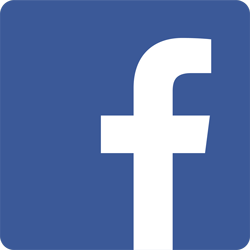 We are working on a new way to accept online donations to allow for one-time or recurring contributions on a monthly basis and we hope to have that in place very soon. As always, we are constantly looking for volunteers to help us during the times the Food Bank is open to our clients. Those times are Thursday nights from 6:00 to 8:00 pm and Friday mornings from 9:00 to 11:00 am. If you have a few hours to spare on either of those days, please email us. Many hands make light work. We will also be looking for assistance during our Christmas Food Drive – details to follow soon. We truly appreciate all of the assistance we have received to date and we will continue to do our best to make sure our fellow community members feel supported in every way we can. 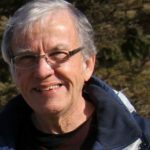 The West Muskoka Food Bank would like to thank The Township of Muskoka Lakes, especially Roger Young and Jake Vincent, for helping us to achieve our goal of taking over the Glen Orchard Community Centre to expand our operation! Please see our Media Release below. The need to serve our community continues and we cannot do it without your generous donations and the help of our volunteers. Please see our donation page to make a monetary donation or you can make donations of non-perishable food items at the Foodland in Port Carling and the Freshmart in Bala and the Bala Post Office. If you would like to become a volunteer, please contact us at 705-646-3997. It is with heavy hearts that we write our latest post. 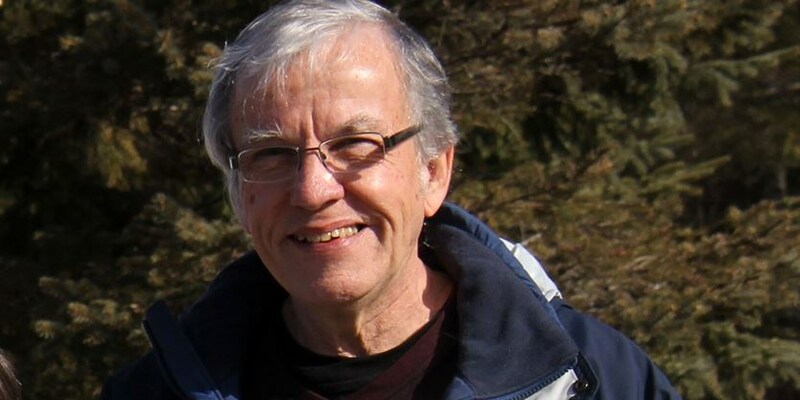 On December 6th, 2017, surrounded by family, our co-founder and chairman, Dr. Terry Chute, passed away. Terry had always been a humanitarian and spent countless hours doing mission work in many different locations. After witnessing the great success of the OPP Christmas Food Drive for over 20 years, Terry and his wife Marilyn saw that the need far exceeded just the Christmas season and they founded the West Muskoka Food Bank in 2011. Our board of directors and group of volunteers have vowed to hold Terry’s vision for the West Muskoka Food Bank very close to our hearts. Terry’s vision was to grow the Food Bank to serve the growing number of families who need our help. Our mission now is carry on with Terry’s vision and see it through to its full potential. We will continue to lean on the generosity of our volunteers. We will continue to nurture existing relationships with our benefactors and we will reach out to create relationships with new benefactors to be able to meet the needs of our fellow community members. Rest in peace, Terry. You left us very big shoes to fill. Well, now that Halloween is over it is time to start thinking about Christmas. For the food bank that means the food drive and preparing Christmas hampers. We have begun registration. The good folk at the First Muskoka Church have graciously offered their fellowship hall again. 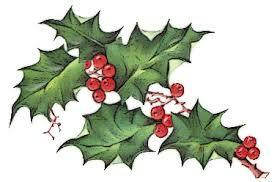 The school has scheduled the date for their Christmas assembly for December 15. So, the date and time are set. Now we need you! Last year we gave out over $10,000 in gift cards to about 75 families. From this years stats, indications are that we will have considerably more families to serve. If you are able to help in any way we sure would appreciate it. Each year is a journey of faith to meet our targets. So far we have never been disappointed. Do your part to make this the best Christmas yet. You can donate through the PayPal button on our web site or by sending a cheque to the West Muskoka Food Bank, Box 463, Bala, ON, P0C 1A0. Food items are also very much appreciated. They can be dropped off at Foodland in Port Carling, Freshmart in Bala, or at the Bala Post Office. A big thank you is in order to the Muskoka Lakes Chamber of Commerce, and in particular Nora Fountain for organizing a very successful After Hours event at the Glen Orchard School House to celebrate our 1 year anniversary in this location. We had over 40 members present and raised over $400.00 as well as receiving a large amount of food. 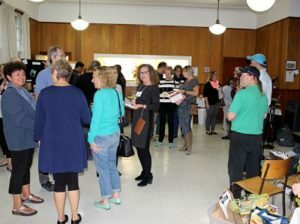 Thank you to the Impact Cafe for catering, the Rails and Nails for entertaining, Lucky Duck Fudge and The Apothecary Shop for co-sponsoring. Thanks to Norm Brent at Muskoka Self Storage for providing wine and Sheila Overbeek for pouring it. Thanks to Clear Lake Brewing and Georgian Bay Spirit Co.for providing other refreshments. Thank you Muskoka Lumber for the door prize. Just as we were winding down, some cottagers dropped in with another 350 pounds of food. What a generous community that we live in! Neighbour helping neighbour. The food bank is pleased to be able to host the next Muskoka Lakes Chamber of Commerce After Hours on Tuesday October 10, from 5:00-7:00 pm at the Glen Orchard Community Centre (across from the Glen Orchard Public School on Hwy 169). We look forward to showing off our new location, updating the community on the tremendous growth of the food bank over the past year, and sharing our dreams for the future. The event will be catered by the Impact Café, a successful social enterprise that hires unemployed Muskokans, teaching them skills useful for their future careers. 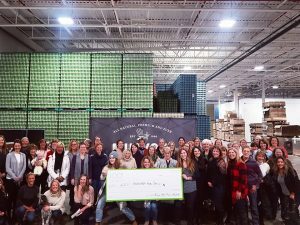 We are grateful to the Apothecary Shop, Port Carling Mini-Storage, Muskoka Lumber, Lucky Duck Fudge, Georgian Bay Spirit Co., and Good Vibes Muskoka for partnering with us to make this a great event. So join us for good food and drink, good conversation, a chance to learn about your local food bank and a successful social enterprise, and lots of fun. There will also be an opportunity to donate food or money in support of the food bank. We look forward to seeing you there. Last Thursday I became a part of a beautiful story. If you want to feel warm and fuzzy, grab a coffee, sit down, and read. This is a story about love, connection, beautiful people, children, and a ball of yarn. John and Mary (not their real names as they wish to be anonymous) are cottagers that have been supporters of the food bank for 3 years. Their concern is that Muskoka children be warm in the winter months. They value greatly the dignity of the individual and feel strongly that one way to build up the self esteem of children is by giving them good quality brand new winter coats, boots, hats, gloves and scarves. They go around in the spring on their own initiative and take advantage of the winter clearance sales. The first year they brought a few items, last year 20-30 coats and boots. 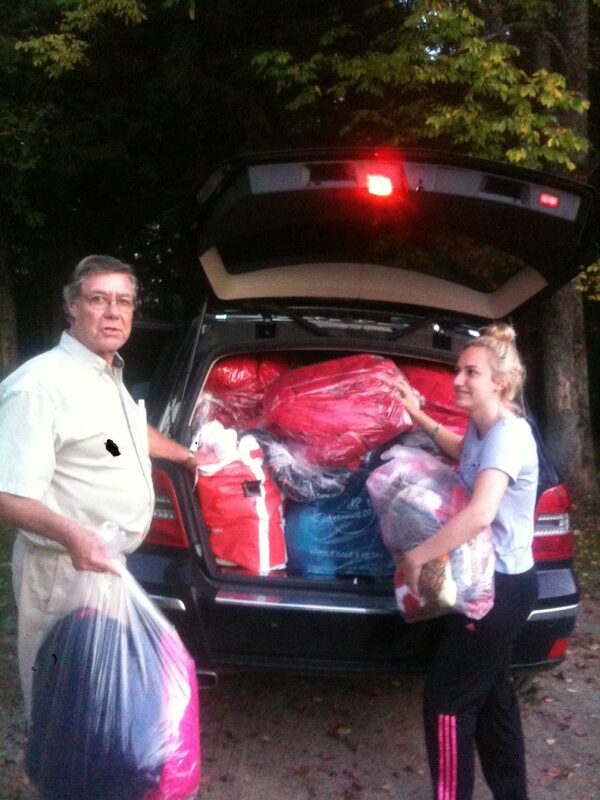 Well, last Thursday they showed up with an SUV packed to the gills with items for Muskoka’s kids! That is wonderful in itself but the story gets better. Last year John and Mary went around to church Christmas bazaars looking for items for their ministry. They stopped at 1 table of hand knitting and the lady asked them which toque they would like to purchase. Mary, with a grin on her face, said she would like to buy all of them. When the lady recovered she asked why and Mary explained that she wanted to help economically disadvantaged children in Muskoka. The bazaar lady thought for a moment and then explained that she and a friend were both retired with time on their hands. They both love to knit but their difficulty is that they have limited financial resources themselves with which to buy the wool. Resourceful Mary said that she would supply them with wool if they would knit for the children. A partnership was formed. But the story gets better still! Last summer Mary was visiting in Port Carling at a local gift store. She and the proprietor were having a heart to heart conversation as they had both lost their mother over the previous winter. Somehow the conversation got around to knitting and the story of the 2 retired ladies down south that were knitting for the food bank but did not have enough wool. The proprietor began to tear up. Mary asked her what was the matter and she pulled out a huge ball of wool from under her desk in the gift shop. She explained that this ball of wool was her mother’s and she didn’t have the heart to throw it out but did not know what to do with it. She gave it to Mary and asked her to give it to the 2 knitters to knit items for the food bank. Needless to say the knitters were deeply moved by learning the origin of this ball of yarn. They spent last winter turning the ball of yarn into toques, mitts, and scarves which were brought up on Thursday night to the food bank. This is quite a yarn of a tale! We are now knitted together through love for kids, desire to encourage respect and dignity, desire for meaning and purpose of some elderly ladies, sharing of sorrow, and the birthing of new life and hope in the hearts of Muskoka children as they receive their brand new winter coats, boots and hand knit woollies. God is GOOD! Our Back to school bags are ready and available starting this Thursday evening. They look great! You get a brand new bag, a ruler, pencil sharpener, crayons, glue, pens, pencils, highlighter, markers, exercise book, paper, and a granola bar. If you need one or know of someone who does, come along to the food bank Thursday eve or Friday am during food bank hours over the next few weeks, and pick out your bag. Hurry before they are all gone! Our kids will be off to a great start to their school year. We extend a very big thank you to Mary Ann Debes and her friend for arranging the bags. How would you like to help a financially challenged child get a good start to the school year? 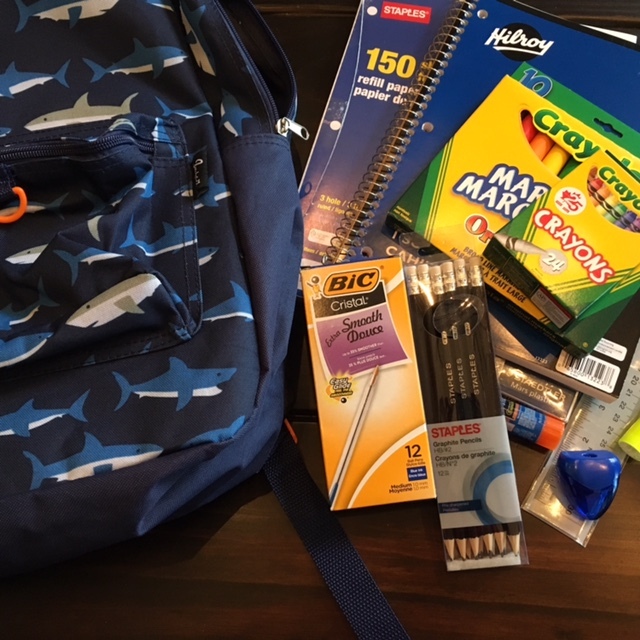 You can by supporting our Back to School Bag Program. For just $30.00 you can provide a child with a bag, and basic supplies like paper, pencils, erasers, crayons rulers etc. Last year we helped 20 children. If we can raise only $600.00 we can do it again this year. It just takes 20 of you to each donate $30.00. You can donate on line using our PayPal account (click on “Donate$” button, or mail cheque to: West Muskoka Food Bank c/o T. Chute, Box 463, Bala, ON, P0C 1A0. Cheque can be made out to “West Muskoka Food Bank” putting “school Bags” on notation line. We will be sure to mail you a tax receipt. Thanks so much for your help raising up a new generation of well educated Muskokans. 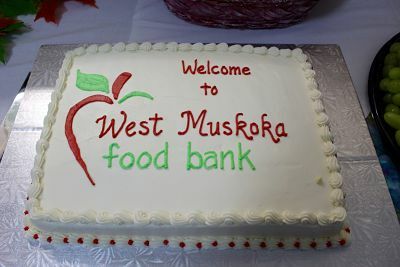 The AGM of the West Muskoka Food Bank will be held on Wednesday, June 14 from 10:00-12:00pm at the new site of the food bank at the Glen Orchard Community Centre on Muskoka Road 169 (across from Glen Orchard Public School). Lunch will follow. Come and hear a report on the new initiatives of this past year, help us elect a new slate of officers, and help us dream about the possibilities for 2017. The meeting is open to all who are interested. We are pleased to be partnering with Brookland Farms (Butter and Egg Road near Milford Bay) to celebrate Canada 150 with a delicious family pancake breakfast on the weekend of April 1-2 from 10:30-3:30. There will be horse drawn wagon rides, maple toffee in the snow, roast marshmallows, singing, as well as a delicious meal. Proceeds from the meal will go to the West Muskoka Food Bank. For details go to http://www.brooklandsfarm.ca/maple-weekend-2.php .